Need a new look? You can always Cadu it. 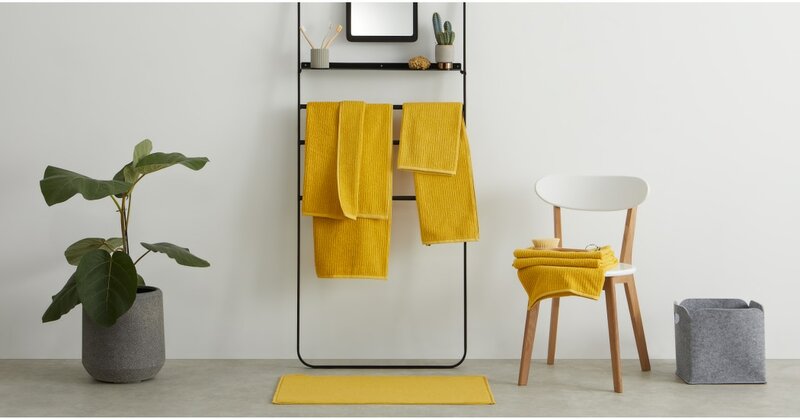 Crafted from 100% terry cotton, this set of 4 ribbed towels offers quality in a choice of playful tones. Part of our in-house designed MADE Essentials collection, Cadu is crafted to form the foundation of a modern home. And at a pocket-friendly price, it’s the perfect balance of function and style. A stylish bathroom is simple to achieve with Cadu. With bathrobes and bath mats to match to your set of towels, a fresh new update is as easy as 1, 2, 3.